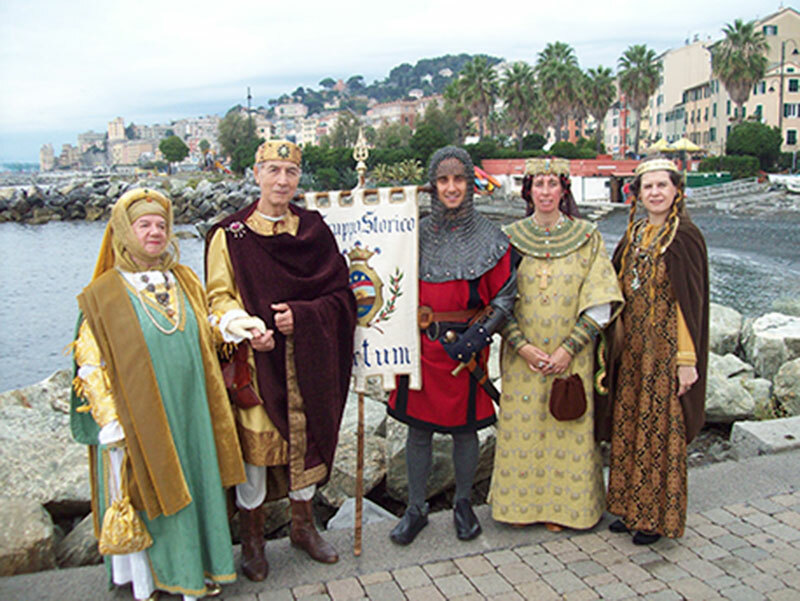 The Historical Group Sextum was established in 1991 in Sestri Ponente with the aim of put together people interested in the study and research of customs and traditions in different Genoese eras. The name Sextum is derived from a document of 1001 mentions: ”Sextum lapis ab Urbe Janue” in Sestri Ponente would then have found the sixth milestone of the city of Genoa. From the popularization of this word is derived the present-day name of Sestri, whose coat of arms is depicted on our banner. The clothes that we present are made by members of the group studying the iconographic sources and documents containing descriptions of clothing and fashion history pertaining to different historical periods: From clothing Byzantine of the sixth century until the early years of the twentieth century. The Group participates in pageants, welcome in Genoese villas and palaces, castles in Piedmont and in particular ancient fashion shows presenting the history of the clothes worn.